Bei Re-Fût de Chêne treffen poetische Akkordeon-Klänge auf groovige open tuning Gitarren-Sounds und Dudelsack-Virtuosität der Extraklasse. Die drei Musiker verbindet der Spaß am Experimentieren mit zentral-französischer Tanzmusik. Durch ihre facettenreichen Arrangements und unkonventionellen Interpretationen verpassen sie traditioneller Musik einen komplett neuen Anschliff, der garantiert in die Beine geht. Re-Fût de Chêne mix poetic accordion sounds with groovy open-tuning guitar and amazing virtuosity on the bagpipes. The three musicians are held together by the joy they get out of experimenting with central-French dance music. With their multi-faceted arrangements and unconventional interpretations they lend a whole new look and feel to traditional music which will certainly move your feet. Zirp beschreiten neue Pfade in der deutschen Folk-Szene. Auf besondere Weise verbinden sie Folk, Rock und Pop mit traditioneller Tanzmusik. Experimentierfreudig und unkonventionell kreieren sie einen frischen Folk-Fusion-Sound, bei dem Tanzwütige voll auf ihre Kosten kommen, aber auch jene, die den feinen Klängen und vielfältigen Arrangement lauschen wollen. ZiRP are breathing new life into the instrumental folk scene with their fresh and innovative fusion folk - roots meets modernism, traditional dance music meets contemporary rock, pop and jazz. 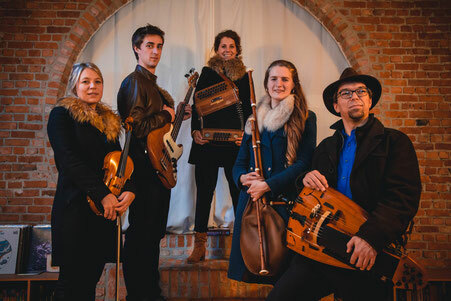 The quartet, fronted by hurdy-gurdy player Stephan Groth (Faun), charm their audiences with progressive arrangements, dreamy melodies and joyful performances. Die Musik des anglo-belgischen Balfolk Trios ist inspiriert von den Begegnungen des Lebens und der Energie des Tanzbodens. Ihr Stil ist ausdrucksstark und improvisatorisch, voller Leidenschaft, Zartheit und Verspieltheit. Mit einem weitreichenden Repertoire von exquisiten, sinnlichen Mazurkas bis hin zu fröhlichen, treibenden Bourrées entführt ihre Musik die Vorstellungskraft, bewegt die Füße und beflügelt den Geist. 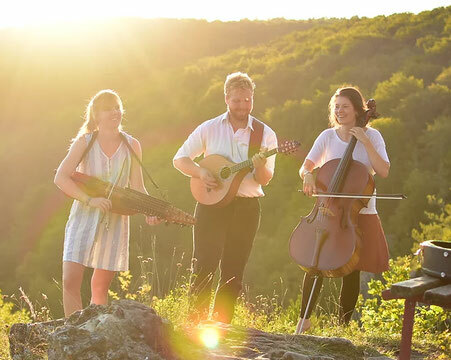 The music of the Anglo-Belgian Balfolk trio is centered around Emily’s compositions, drawing inspiration from life's encounters and the energy of the dance-floor. Their style is highly expressive and improvisatory, full of passion, tenderness and playfulness. With a wide repertoire ranging from exquisite, sensual mazurkas to joyful, driving bourrées, their music transports the imagination, stirs the feet and uplifts the spirit. Das Duo schlägt eine Brücke zwischen Vergangenheit und Gegenwart, zwischen traditionellem Erbe und zeitgenössischer Offenheit. Die Sängerin Maude Madec und Multiinstrumentalist Jérémie Mignotte, der u.a. durch DJAL bekannt ist, kreieren Tanzmusik, die tief in der Bretagne verwurzelt, aber auch für andere Stile offen ist. Ihr Repertoire umfasst Lieder in bretonischer Sprache, Tänze aus dem Vannes und komponierte Tänze. The singer Maude Madec and multi-instrumentalist Jérémie Mignotte, known from DJAL, play dance music that is deeply rooted in Brittany, but also open to other styles. Their music builds a bridge between past and present, traditional heritage and contemporary openness. The duo perform Breton songs, dances from the Vannes and some popular balfolk tunes. Die fünf Berliner Musiker bringen auf akustischen Instrumenten Weltmusik aus ganz Europa und dem nahöstlichem Raum zu Gehör und “in die Beine”. Traditionelle Musikstücke mit abwechslungsreichen Arrangements sowie Eigenkompositionen bilden das Repertoire, das durch klassische, jazzige und rockige Elemente lustvoll kultiviert wird und die frische Spielweise der Musiker den typischen Folkinger Sound bildet. The Berlin based band Folkinger has been playing world music from all over Europe and the Near East on acoustic instruments for many years. The music is influenced by the different musical backgrounds of the musicians. The arrangements are lovingly crafted with elements from classic, jazz and rock and their compositions assort well with the instrumentation. Vergnüglicher Tanz braucht gute Musik. Das besondere Highlight zum TFFB 2019: Die Festivalband. Für diese finden sich hiesige Musiker*innen zusammen, die der lebendigen Berliner Tanzszene seit Jahren Inspiration und den richtigen Groove schenken. Lasst Euch überraschen und freut Euch auf einen einmaligen Genuss. Pleasurable dance requires good music. 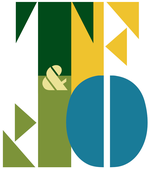 The special highlight for the 2019 edition of TFFB: The Berlin Festival Band. This year we’ll gather local musicians who’ve been giving inspiration and great grooves to Berlins vivid dance scene for years. Let yourself be surprised and look forward to a one-of-a-kind pleasure. Jan has studied world music in Rotterdam and is also an instrument maker. His musical focus is on BalFolk and Tango, he's playing in "Budweis Quartett", "Juli And Jan" and the duo"Budweis-Meyering". Jan taught melodeon in Berlin and he is a asked musician for ensemble and instrumental workshops. Stephan is a multi-instrumentalist who studied accoustics with a vivid interest in everything which produces sounds. He has farreaching experience in folk and world music as well as in traditional dance music. Stephan is the founder and mastermind of thehurdy-gurdy folk fusion band Zirp, musician at Folk Noir and the pagan folk band Faun. Florian is incarnate rhythm. He studied drums and percusion at the Music College of Dresden, has extensive band and studio experience (i.e. Stilbruch and Rany) and teaches at various music schools. As drummer of the Band Zirp, he provies a substantial amount of folk fusion. Line and Mara have danced since before they learned to walk and are currently teaching BalFolk in Berlin. They see dancing as one way to connect body, mind and soul. For them, dance includes meeting other individuals with respect and consciousness. Maude comes from the region around Lorient (Brittany) and discovered already as a child her passion for Breton music, dance and songs. In her workshops she tries to share her knowledge and experiences with other dance enthusiasts. Her personal specialty is the combination of dance and singing. Emily discovered the world of Balfolk initially as a dancer, and honed her skills as a dance-musician playing at Clandestine Mazurkas in London’s parks and at European folk festivals. Simon Dumpleton and Simon Laffineur adores to dance and playing music for dancing. Thomas is a very experienced dance master, who can explain almost all dances with an impressive ease. He gives dance workshops in Berlin, at festivals and BalFolk events. His enthusiasm for BalFolk is infectious and guarantees a lasting dance experience. His special passion is Israeli dance.